Winter is a great time for birdwatching in Norfolk. Large numbers of birds come here to spend the winter, including wildfowl, waders, birds of prey and owls. This is the season when we have our most spectacular gatherings of wildfowl. As usual, a wide variety of additional dates are available, both for guided group tours and private customised birding days. Group tours will operate on most weekends through the winter, and additional single weekday tours may also be available, subject to availability and demand. Winter is the time of year to see large flocks of wildfowl and waders in Norfolk. The gatherings of Pink-footed Geese are particularly stunning – watch their spectacular flights to and from their roosting sites at dawn and dusk. This is also the best time of year to see some of our more secretive resident birds. 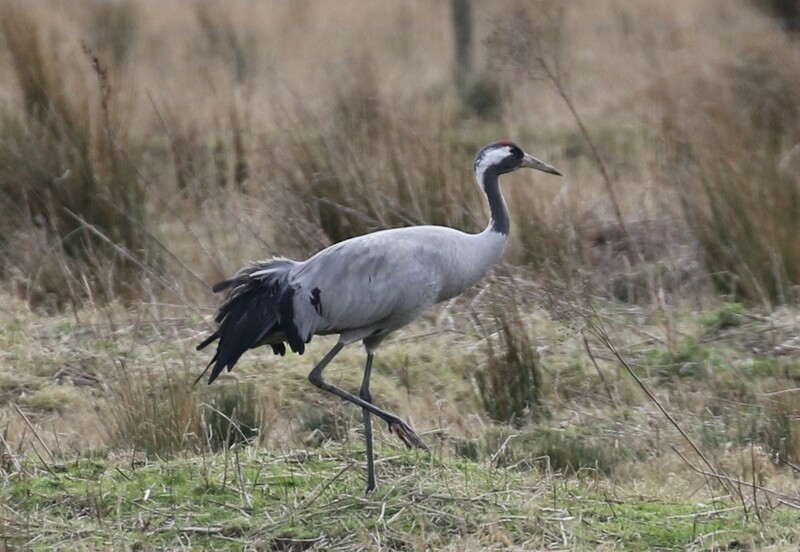 The resident population of Cranes in the Norfolk Broads can be seen feeding in the fields or coming in to roost in the reeds at dusk. Many raptors also gather here for the winter, Hen Harriers, Merlins and impressive winter roosts of Marsh Harriers all escaping the cold weather further north. Most winters we have one or two Rough-legged Buzzards, rare visitors to the UK from Scandinavia. Short-eared Owls also come here over the North Sea, sometimes in considerable numbers. From the turn of the year, Goshawks can be seen displaying over the forest on clear days. The Broads for Cranes, Geese & Raptors Tour - A day spent in the Norfolk Broads looking for Cranes, lots of geese and birds of prey and finishing off with a trip to the raptor and Crane roost. North Norfolk Coastal sites - Visiting the coast to see a variety of divers, grebes, ducks, geese, birds of prey, owls, Shore Lark, Lapland Bunting & Snow Bunting. Regular sites visited include Holkham, Cley, Titchwell and Holme amongst others. The Brecks & Thetford Forest - Visiting woodland sites looking primarily for Hawfinch & other forest birds including Firecrest, Crossbill and possibly an over wintering Great Grey Shrike. Later in February, Goshawk & Lesser Spotted Woodpecker might be possible. In addition, we offer specialised Owl Tours - please see here for more details. The precise location of the individual tours varies through the winter. Wildfowl numbers peak through December and January. Woodland birds become more visible as they start to display in the New Year. Please see the itinerary for more details of dates and destinations.